Newly updated for Rails 5, the Ruby on Rails Tutorial book and screencast series teach you how to develop and deploy real, industrial-strength web applications with Ruby on Rails, the open-source web framework that powers top websites such as Twitter, Hulu, GitHub, and the Yellow Pages. 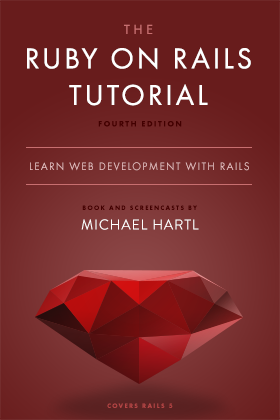 The Ruby on Rails Tutorial book is available for free online and is available for purchase as an ebook (PDF, EPUB, and MOBI formats). The companion screencast series includes 14 individual lessons, one for each chapter of the Ruby on Rails Tutorial book.